BrammoBlog: The Stuffy Head Cold Edition. Blog whatever: Sometimes I think my head is so large because it is so filled with dreams**….or snot…yeah, definitely snot. It is Blognesday and I had promised a post on the Trinity Site and White Sands etc…Lots and lots of Photos…. But my head is a big balloon right now and all I want to do is sleep. Sadly I’m at work, so no sleep. But I can somewhat rest my head…but no energy to do a massive blog post that the weekend trip demands. This morning I made a slight detour on the way to work. 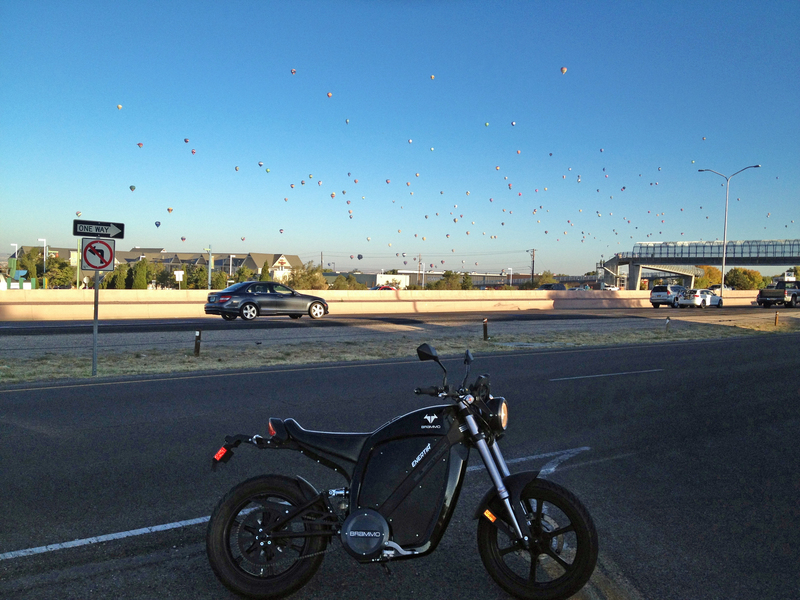 It is Balloon Fiesta time and that means 9 days of balloons flying around the town. I always think it looks like the sky has chicken pox. The Balloons were kinda far away. The winds were from South to North and only a couple of miles per hours, so the balloons were moving slowly to the North away from where I live and work. Sometimes the winds are from North to South and we have the balloons drifting over our house. The dogs love it…if by “love it” I mean barking insanely at the sky invader moving ever so slowly above our backyard. So I thought I would try a Panorama view. It worked so well at White Sands and the other places I went this weekend. And I found that Panorama mode, rightly so, does not like cars moving on a highway. Confuses it somewhat. And now I am putting my head on the desk and silently weeping for a while….and by silently weeping I mean wailing like Banshee from the X-Men. funny cars, little clown cars all in a row. White Sands Panorama. One of many to come.